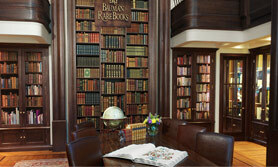 Forty-one years ago, we decided to turn our love of collecting fine old books into a business. We opened a store in Philadelphia, and put out catalogues whenever we could find a moment in between running the store, attending auctions, and exhibiting at book fairs and antiques shows across the country. It was an incredibly busy, exhilarating time, and confirmed for both of us our desire to bring this passion to as many people as possible. In 1989 we opened a gallery in the Waldorf Astoria Hotel, and the success of that venture encouraged us to expand our presence in New York City into a full street-level storefront gallery on Madison Avenue in 1999. This in turn led to an opportunity to open our second gallery in 2008, in Las Vegas. We owe our success to you, our tremendous clients, many of whom have been with us, building amazing collections, for two or even three decades now. 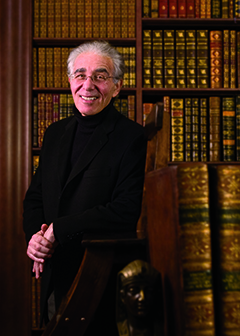 Over the years we have heard from you that you appreciate dealing with us because our salespeople and our cataloguers—most of our employees, in fact—have at least ten years of experience in the business, and know the ins and outs of the market. Brick-and-mortar galleries, printed mail-order catalogues, a dedicated salesperson who tracks your wants and knows your specifications, a thoroughly researched description of each book that doubles as our guarantee—these may seem remarkably staid and old-fashioned in the age of the Internet. But that’s the way we like it, and we know that you, our long-standing clients, appreciate our track record as well. After forty years, one of the most gratifying things to me is still when somebody comes into one of our galleries and says, “I never imagined anything like this could exist.” If this is your first time visiting with us, I hope you feel some of that same sense of wonder, and if this is your first time buying from us, I guarantee you will be satisfied, and yet hungry for more. 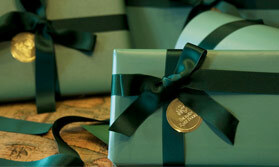 gift services Finding a truly exceptional gift can be a daunting task. Especially one that is rare, significant and of lasting value. Our Guarantee Our highly trained staff of researchers carefully documents every book we offer with accuracy and authority so that our clients can purchase from us with confidence.